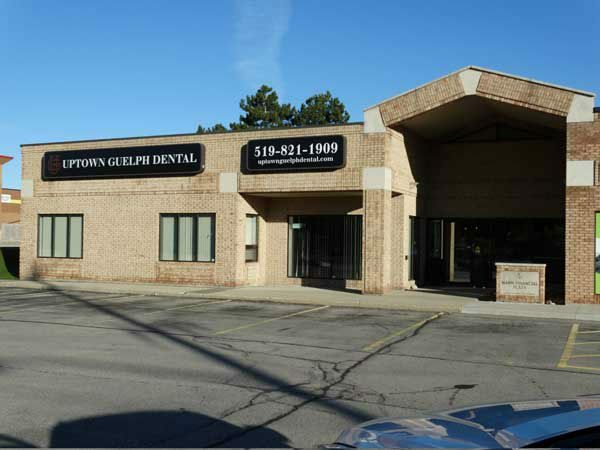 At Uptown Guelph Dental, we serve individuals, families, seniors, and children in and around Guelph and Wellington County. Our dentists have over 60 years of combined experience, with certain practitioners having expertise in fields like periodontics and pediatric dentistry. Dr. Wright is our original founding dentist, and while he still practices with us, the practice was sold to Dr. Medhat in 2011. Because our team has served Guelph families for so long, many of our patients are children and grandchildren of original patients we’ve cared for. Looking for a Dentist with Expertise in Periodontics? Gum disease is no laughing matter. Our Guelph dentists have a dentist with expertise in periodontics on staff, so you can receive best-in-class treatments to keep your smile healthy. Whether it’s gum surgery for periodontal disease or getting new dental implants placed, we do it all! 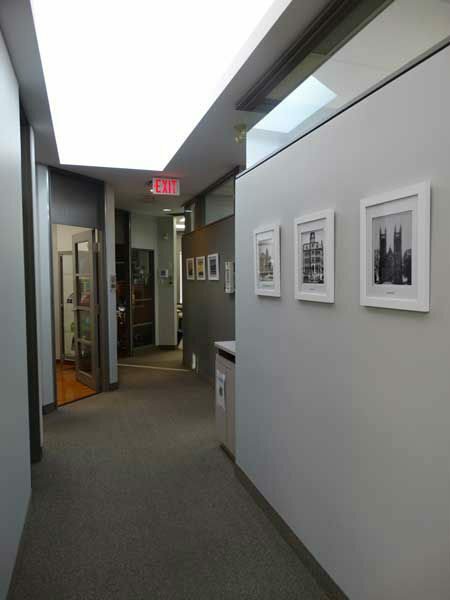 Plus, you can even request sedation or laughing gas as part of your oral surgery procedure. We want you to feel as relaxed and comfortable as possible. Did you know that Dr. Wright has been a member of the Guelph Wellington Rotary Club since 1989? If you live in the area, be sure to check out the Rotary events like Sparkles in the Park, Lobsterfest, and Rotary Canada Day. Or, bring your entire family for Earth Day activities at Guelph Lake, where you can help plant new trees in the 40 hectares of forest. We’re always looking for ways to give back to the community and the families of our patients. In fact, one member of our staff, Liz, walks in the Alzheimer Society Waterloo Wellington fundraiser each year. We’re also happy to sponsor the Youth Women’s Ontario Lacrosse Team. While you’re in the area, be sure to visit the Guelph Conservation Area. This preserved habitat encompasses more than 3,000 acres. There’s plenty of room for sailing, fishing, and more. Many of our patients come from Fergus County, where there are plenty of great eateries to try out. One of the top rated is Underground Kitchen, just off of the Grand River. The Caribbean cuisine is as authentic as you can get! From the flatbread and curry to the jerk chicken, we’re sure your taste buds will be watering as soon as you walk through the door. Fergus County is also home to Elora Quarry, a gorgeous natural recreation area with an amazingly large swimming hole. People visit the Quarry to hike the surrounding forest and to take in the picturesque views of the beautiful landscape. It’s Time to Give Our Guelph Dentists a Call. We’re Even Open on Saturdays! Our family dental practice is just next door to Boston Pizza, near Galaxy Cinemas in Guelph. Contact us today to book your first visit. Be sure to ask about our complimentary wisdom teeth exam (X-ray fees may apply). We’re always happy to accept new patients!